Sometimes all you need to be brave is to feel brave. We know that doesn't sound like it makes sense, but it does. That's exactly what happened with the Cowardly Lion. The bravery he needed was always insight, waiting to be awoken. The badge doesn't make you courageous, but it just might give you the confidence you need to let that courage out and roar! 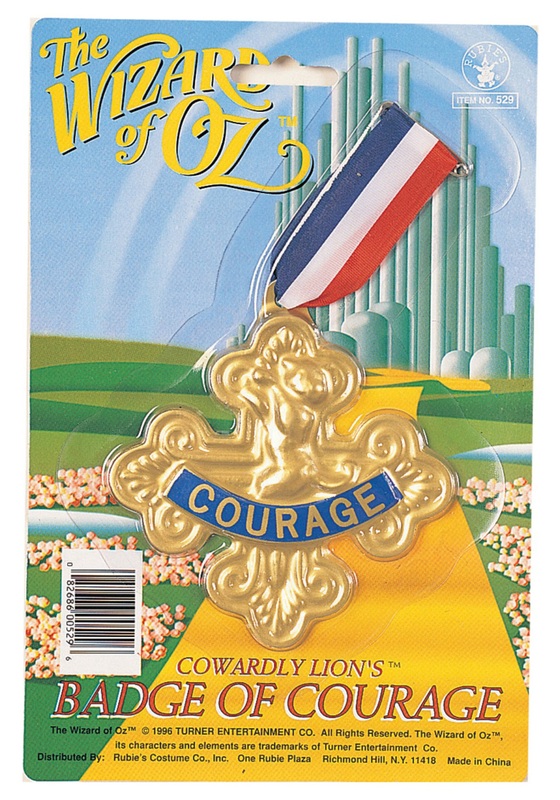 This is a great costume accessory for a Cowardly Lion costume, but it's also just a handy medal to have to give to any kid in need of a little courage. It's already in them, but watch what happens as they beam with pride wearing this badge around the house. They can do anything if you believe in them, and if they believe in themselves. Don't let fear or cowardice win. Infuse some courage into everyone and let out that loud roar waiting deep inside you!